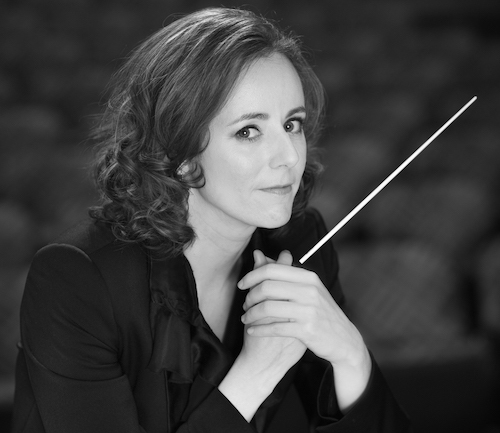 Mélisse Brunet has been the Interim Music Director of the Northeastern Pennsylvania Philharmonic since the season 2018-19, and was one of the six conductors selected for the 2018 Bruno Walter National Conductor Preview, chosen on their “experience, talent, leadership potential, and commitment to a career in service to American orchestras” by the League of American Orchestras. 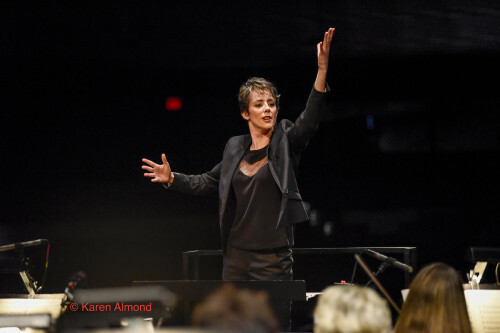 She was one of the six women conductors selected over 161 applicants representing 33 countries for the Linda and Mitch Hart Institute for Women Conductors at the Dallas Opera, that took place in November 2017 in Dallas, TX. Mélisse is re-invited by the prestigious Cleveland Institute of Music as one of their guest conductors for the 2019-20 season, and will make her début with CityMusic Cleveland this upcoming May. Mélisse believes that each stage appearance is an opportunity for sharing her passion with the audience during concert talks and by the creative interaction of the musicians and the audience throughout the performance. In partnership with the musicians, she is always bringing and trying new ideas to develop and renew the concert form. Challenges motivate her and nourish her ideal of perpetual learning and personal growth. Her passion for sharing has always been transposed through her teaching and mentoring of younger musicians both in France and the USA. She is in her third season as the Director of Orchestral Activities at Appalachian State University and Music Director of the Appalachian Symphony Orchestra where she is conducting all the symphonic concerts, operas, and musicals. She conducted there four staged performances of the opera Die Zauberflöte by Mozart, three staged performances of Sweeney Todd by Sondheim, she conducted three performances of Bernstein’s Trouble in Tahiti and Menotti’s The Old Maid and the Thief, and her symphonic concerts’ repertoire goes from Jean-Baptiste Lully to T.J. Cole. In the summer of 2014, Mélisse was a selected conductor at the prestigious Cabrillo Festival for new music in California. Other notable recent works include assistant conductor to Lionel Bringuier in the production of Bizet’s Carmen featuring the world renowned Magdalena Kožená with a staging of Calixto Bieito in Valladolid. Furthermore, Mélisse assisted the esteemed conductor and musician Jeannette Sorrell in Mozart’s Magic Flute with Apollo’s Fire in Cleveland and Oberlin. Moreover, a dynamic advocate of contemporary music, she was the conductor of the Cleveland Institute of Music New Music Ensemble from 2010 until 2013, and the conductor of the Experimental Orchestra FiveOne based in Cleveland. Mélisse has also had the fortunate opportunity to closely work with the composers Keith Fitch, Steven Stucky, Shulamit Ran, Michael Daugherty, Eugene O’Brien, Jennifer Higdon, Peter Eötvös, Marc-André Dalbavie, Eric Nathan and Florent Motsch. As an opera conductor, she conducted Dead Man Walking by Jake Heggie at the Power Center of Ann Arbor in the presence of Sister Helen Prejean, C.S.J., Puccini’s Gianni Schicchi at the Power Center of Ann Arbor. A native of Paris, Mélisse Brunet began her studies on the cello. Soon becoming fascinated by the different sounds of various instruments, she learned to play the trumpet, French horn and piano. She graduated with academic honors from the University of La Sorbonne and from the highly selective Paris Conservatoire where she earned a Master’s in Orchestral Conducting as well as five diplomas in Harmony, Counterpoint, Renaissance Counterpoint, Orchestration, and Musical Analysis. Mélisse’s conducting teachers and mentors include Larry Loh, Kenneth Kiesler, Pierre Boulez, Joel Smirnoff, Marc-André Dalbavie, Zsòlt Nàgy, and Carl Topilow. Mélisse took part in many international workshops and studied with distinguished conductors such as Marin Alsop, Carlo Montanaro, Gustav Meier, David Stern, Peter Eötvös, Markhand Thakar and Jorge Mester. Mélisse likes discovering teas, hiking, learning languages, spending time with her family and friends, and reading books.